Having just finished book one of the Hunger Games Trilogy, I can’t help but notice the underlying theme resonating with the recently past Martin Luther King, Jr., day: non-violent resistance and defiance of immoral laws and government. Panem is a country made up of 12 districts, each district focused on one task. Before the districts rebelled there were 13 districts, but the 13th was wiped out as the capital of Panem crushed the rebellion. The Hunger Games are their yearly punishment, forcing children between 12 and 18 to fight to the death while the entire country watches. Katniss and Peeta end up in the games and soon everyone knows that Peeta is in love with Katniss, which is news to her. Katniss has grown up breaking the laws to feed her family, and she brings that attitude with her to the games. When Rue, Katniss’ ally from District 11, dies, Katniss rings Rue with flowers, an act giving honor to a death which is meant to be a punishment. At the end of the games Peeta and Katniss are left, and instead of killing each other, they choose to commit suicide together. Just as they are about to eat some poisonous berries, the capital intervenes and both are spared. The capital is left with egg on it’s face because of this defiance. Other themes abound, such as the fight for survival, the loss of parents and children growing up too fast, the difficulty in distinguishing between true love and friendship, government gone wrong, and the glorification of bloody, gladiator-style events. This theme of refusing to be beaten by seemingly impassable circumstances, however, resounds more loudly than any other. How easily we give up in the face of difficulty and uncertainty, but throughout history men and women have stood up for what was right in spite of the law. When have you stood up for the right thing, and when have you given in? What do you need to stand up and support right now? 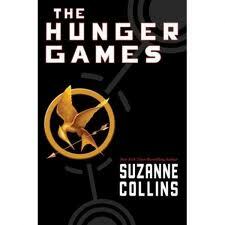 This entry was posted in Life and tagged Hunger Games, immoral laws, Katniss Everdeen, Martin Luther King Jr, Panem, Peeta, poisonous berries, Rue, Suzanne Collins by Maurice F. Overholt. Bookmark the permalink.